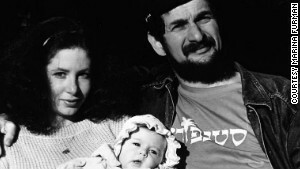 Marina and Lev Furman, with daughter Aliyah, gained international attention as they fought for exit visas to leave the Soviet Union. 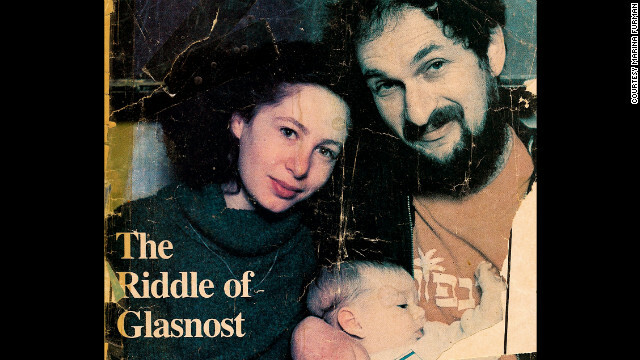 Here they are on the cover of The B'nai B'rith Jewish Monthly in November 1987. 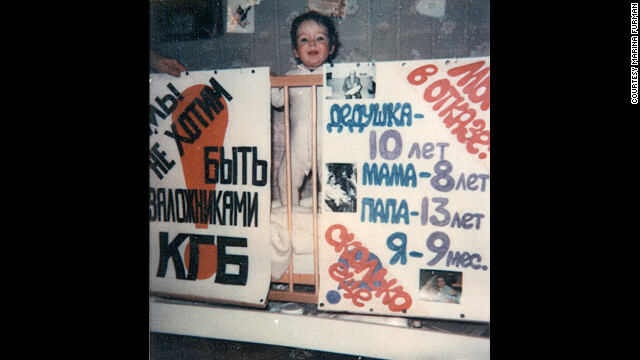 The night before the Furmans took a final stand, their 9-month-old daughter Aliyah posed with posters, made by family friends. 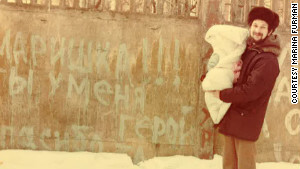 The one on the left reads in Russian, "We don't want to be hostages of KGB!" 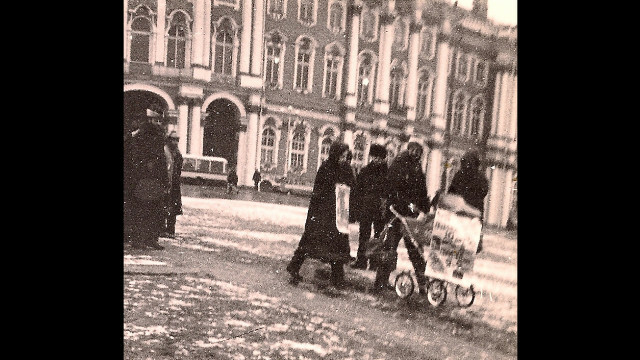 Demonstrations like this one were forbidden on Leningrad's Palace Square, where the Furmans arrived in silent protest on December 6, 1987 -- a date they hoped would change history. 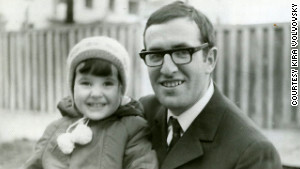 Moments before they were arrested, they chained themselves to Aliyah's baby carriage. 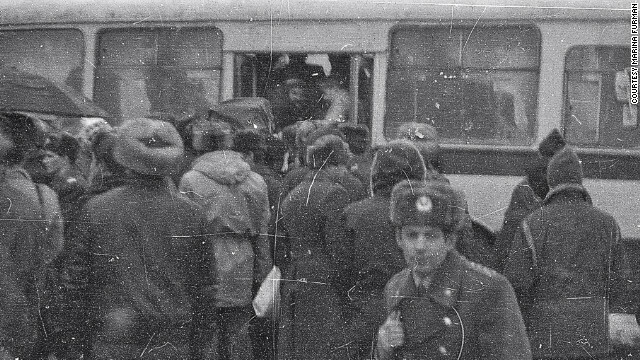 A mob of about 40 KGB agents and police officers awaited the Furmans. 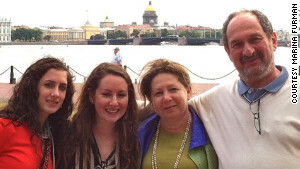 The family was shoved onto a bus and taken to prison, where even Aliyah would spend time in her own cell. 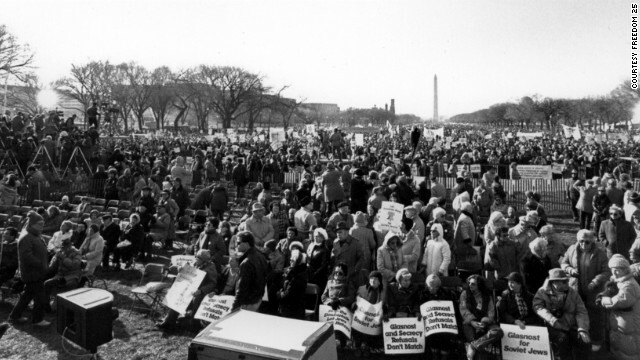 As the Furmans were being interrogated in prison, some 250,000 people gathered for a demonstration in Washington to coincide with Soviet leader Mikhail Gorbachev's first visit to the White House. 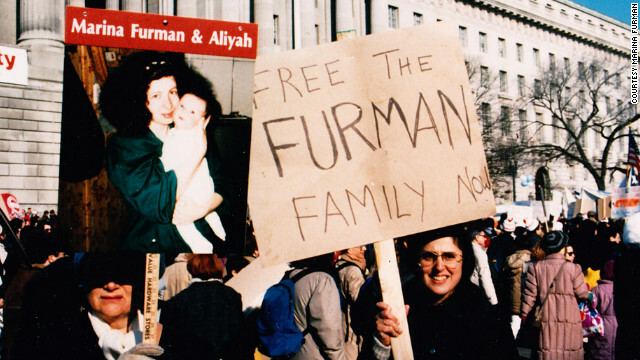 The crowd called for the freedom of Soviet Jews, including the Furmans. 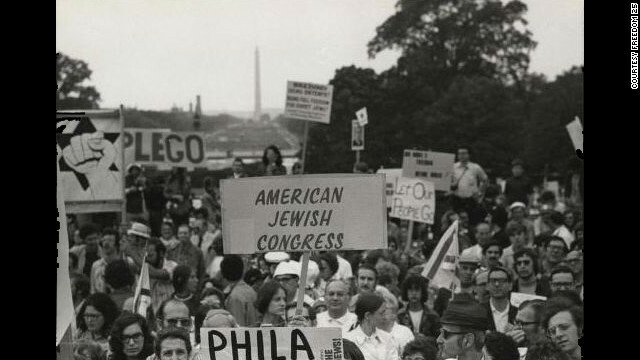 People of all backgrounds -- Jews and non-Jews, religious and secular -- came for the Freedom Sunday rally at the National Mall in Washington. 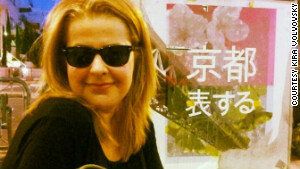 Their mission: To demand human rights in a faraway land. 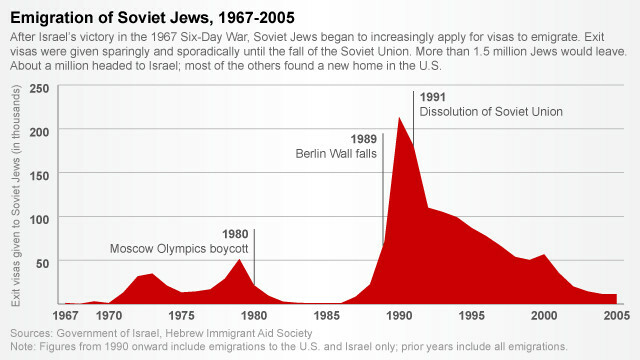 The rally on December 6, 1987, was the culmination of a decades-long movement to free Soviet Jewry. 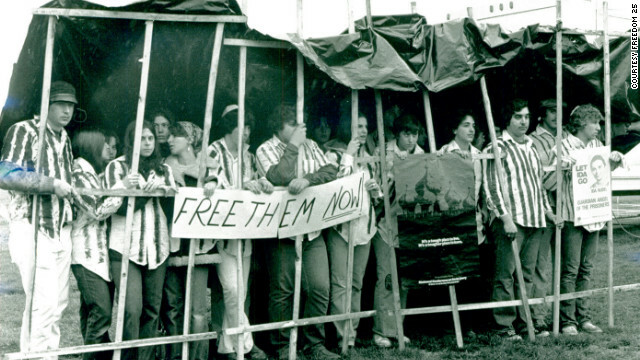 It was a campaign driven by post-Holocaust guilt, civil rights activism and a new sense of Jewish pride after Israel's victory in the 1967 Six-Day War. 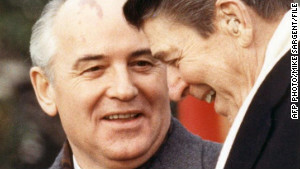 It helped end the Cold War, bring down the Soviet Union and open the gates for more than 1.5 million Jews. Protesters in Washington re-enacted what was happening in the Soviet Union to many refuseniks, the term used for those who'd been refused exit visas. 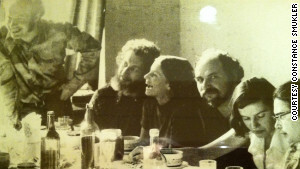 They were treated as pariahs, lost their jobs, served time in prison -- all because they wanted to leave the Soviet Union and live openly as Jews. 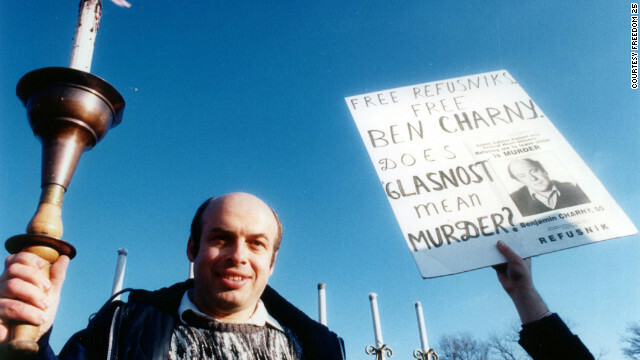 Natan Sharansky, the most famous refusenik, was freed in 1986 and traveled around the U.S. to drum up support for the rally, which was his brainchild. 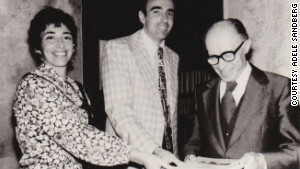 He went on to be a human rights activist, author and politician in Israel. It's a part of a recent past that's nearly forgotten but that once enjoyed the support of top-tier politicians, congressional wives, Catholic nuns, actors, musicians and civil rights icons, including Martin Luther King Jr.